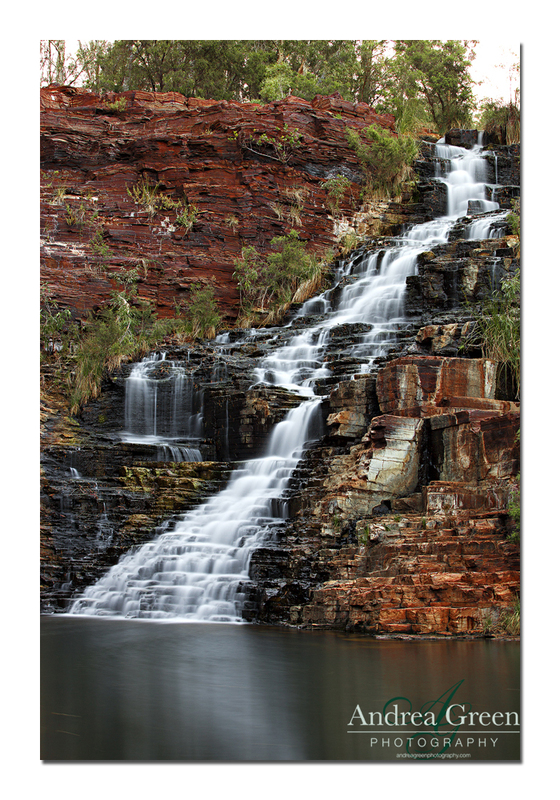 These photos were taken at Fortescue Falls in Karijini National Park. We camped near here and so we went down everyday to the falls as well as to another area not far away which is called Fern Pool. These are all in Dales Gorge, which so far is my favourite gorge at Karijini, although I did miss one so next time we’ll see if it stays my favourite. I can’t decide between the crops of this photo so I thought I’d post the original shot and then a crop from the top to get rid of the trees and also one that has still kept the aspect ration but it means that it comes in pretty tight on the sides of the waterfall. Let me know what you think looks best, I can’t decide. I’m thinking the crop from the top so I keep the whole waterfall but I’m not sure if it looks too wide. I haven’t really done any panoramic shots and actually finished putting them together and showed anyone yet so here goes. 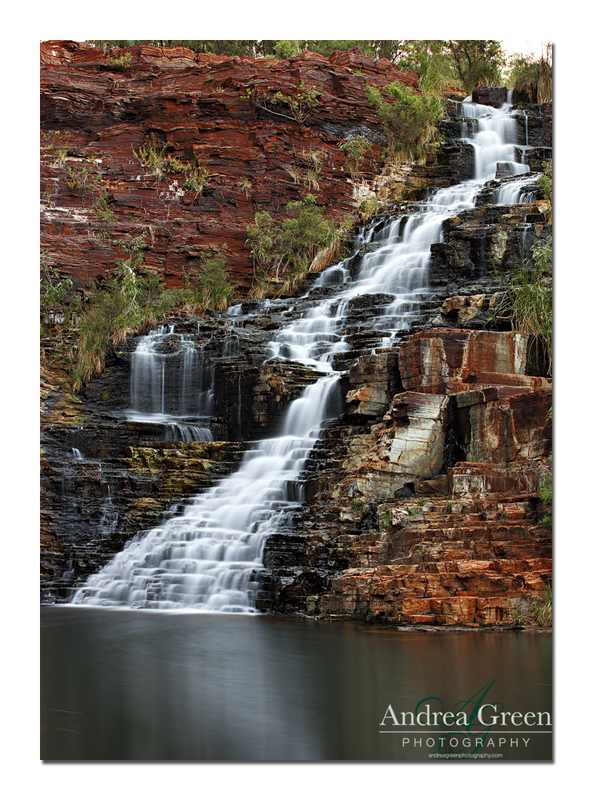 This was taken up in Karijini Western Australia. It’s such an amazing place and I can’t wait to go up there again and actually get in a huge amount of shooting. When I went last time I really didn’t have a lot of opportunity to be able to take my camera so next time look out. I think that next time I’d like to have a go with a panoramic the same as this but maybe use my 85mm so that I can get in a bit more of the background. Once you see it come together it gives you a bit more perspective. 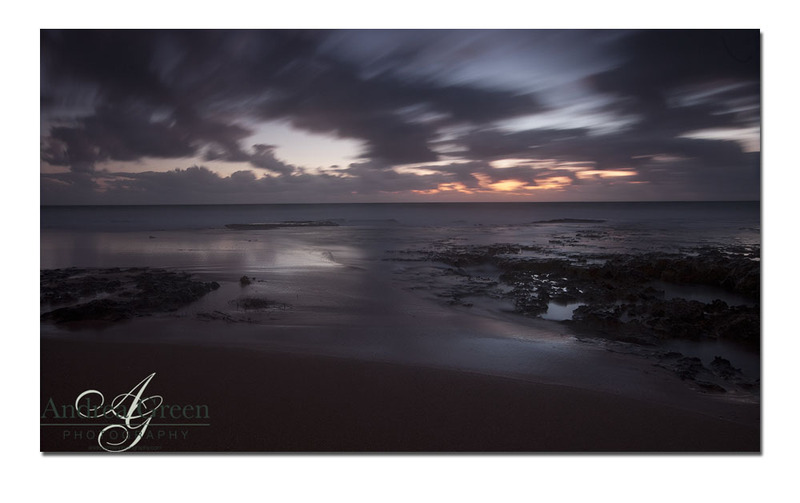 I took this shot while I was out with the fab Jamie Patterson. I had a great time out shooting with him. It was one of my first shoots with someone else and it was also my first bulb shot. I think it came up great and I know it’s pretty dark but I just like it.